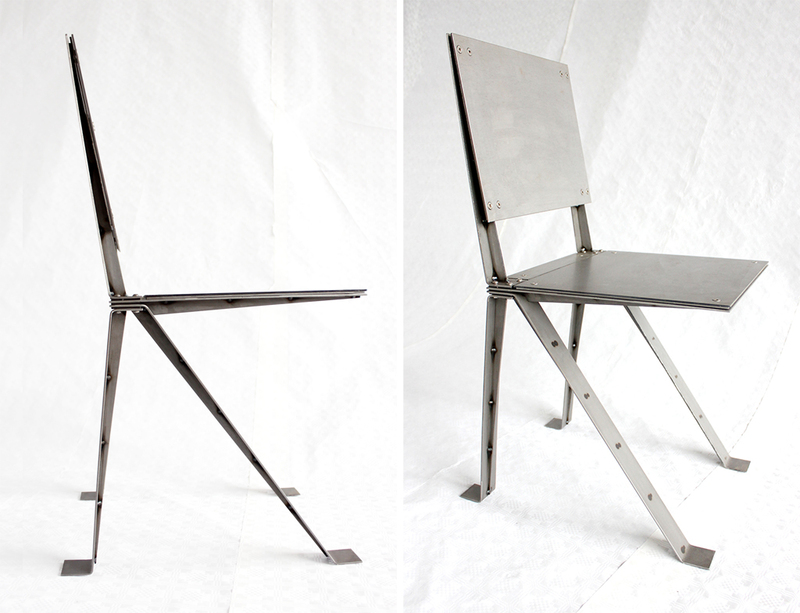 The Layers chair is part of a larger collection of steel furniture by Dimitri Kruithof. 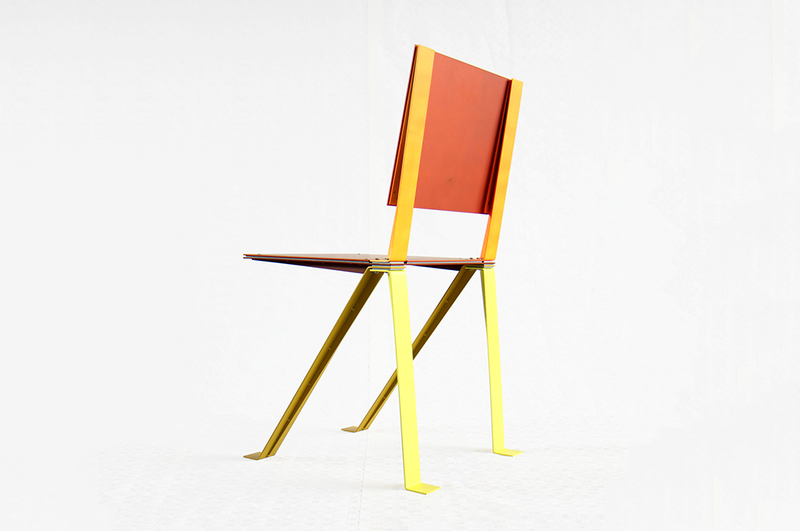 Trained as an architect, Kruithof finds the inspiration for his furniture designs in subjects such as the principles of building construction; he also likes exploring bridges, cranes and the construction of buildings. In Layers, Dimitri has sought the balance between solidity and subtlety. 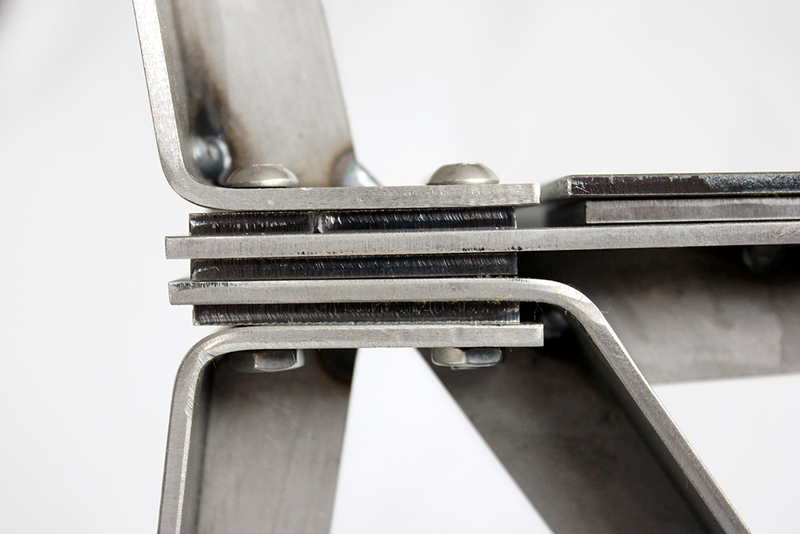 Steel is the most suitable material to make this happen. 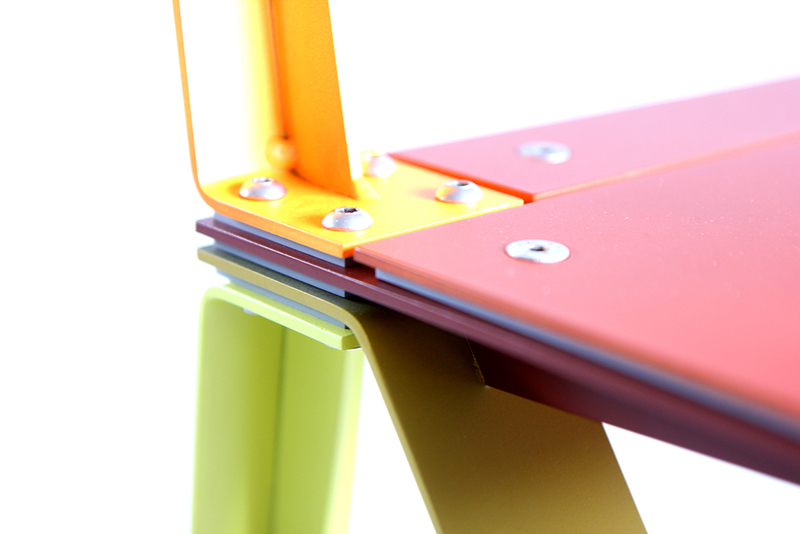 In 3 mm thin steel, the functions of seat, backrest, front and back legs become visible in different layers. In the variant Layers Colored, this is accentuated once again because the parts are sprayed in various colors. 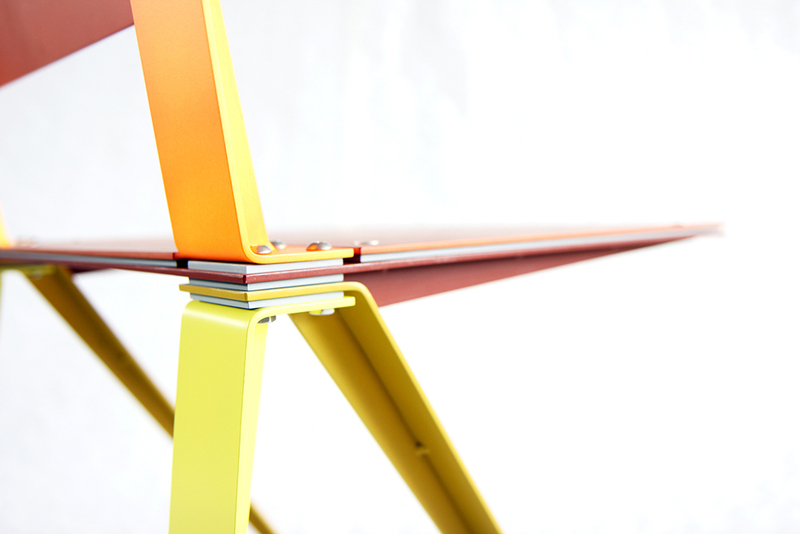 Not only visually, but also constructionally the layers meet at the intersection of backrest, seat and legs. 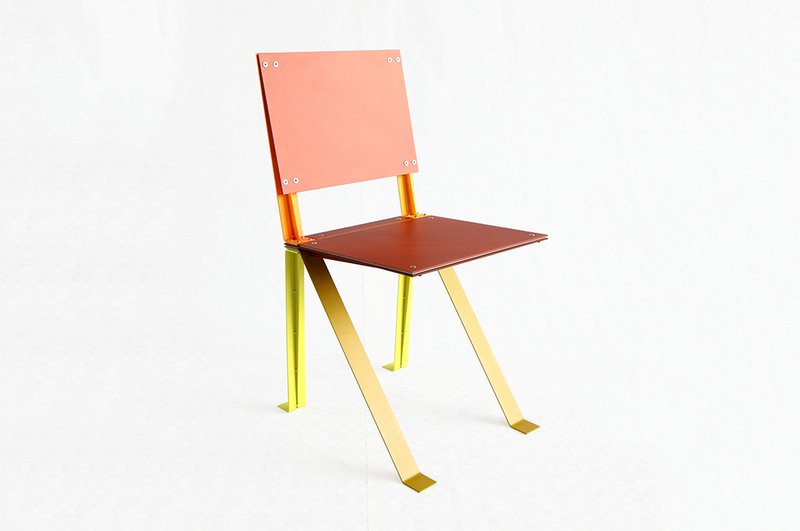 The Layers chair has a high-tech look, but is relatively easy to put together. An aluminum variant will follow shortly.